Knave & Hatter. This image is part of an art meme about the movie found here:. HD Wallpaper and background images in the Ilosovic Stayne, Knave Of Hearts club tagged: mad hatter tarrant hightopp knave of hearts ilosovic stayne crispin glover tim burton's alice in wonderland 2010. 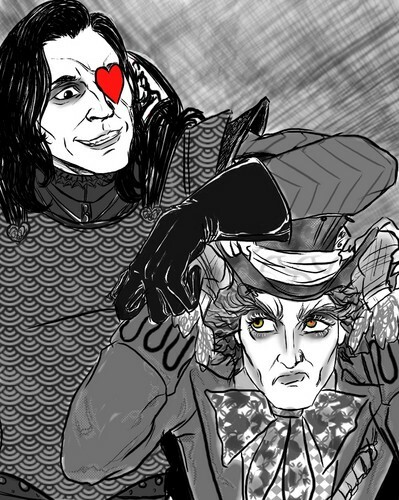 This Ilosovic Stayne, Knave Of Hearts fan art might contain animado, cómic, manga, historieta, anime, and dibujos animados.